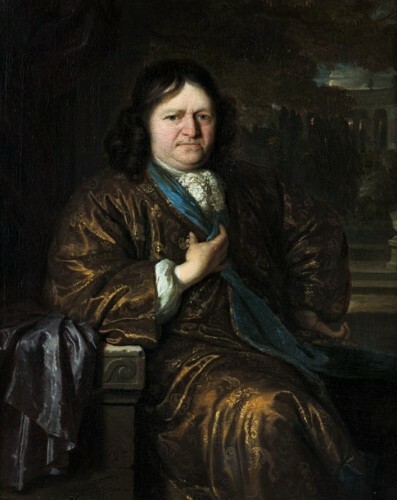 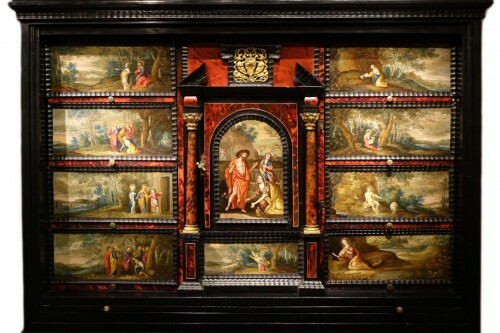 The cabinet opens at the top by two doors revealing a set of twelve drawers. 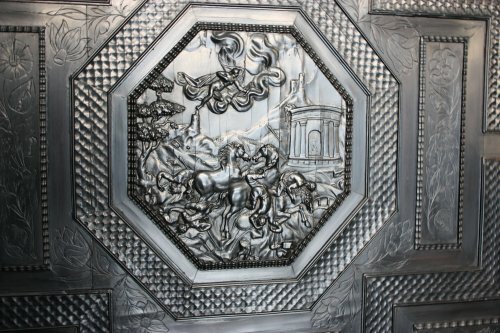 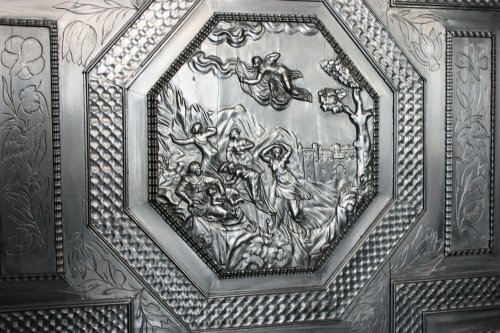 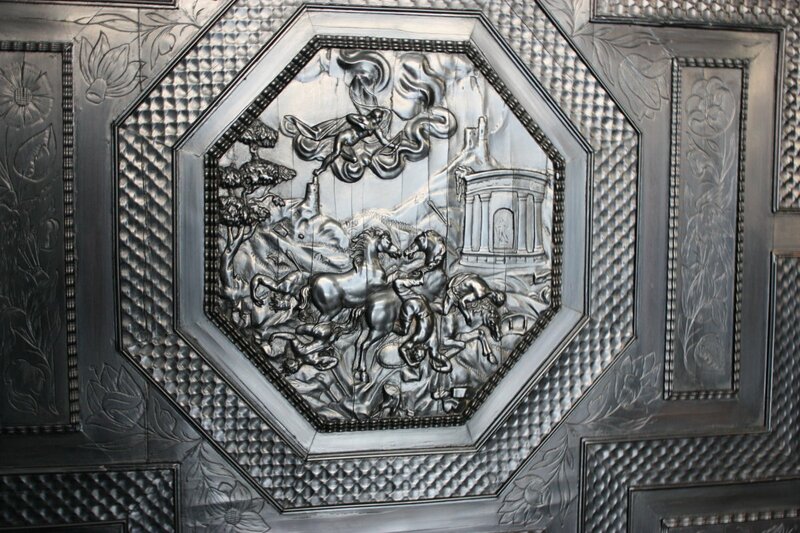 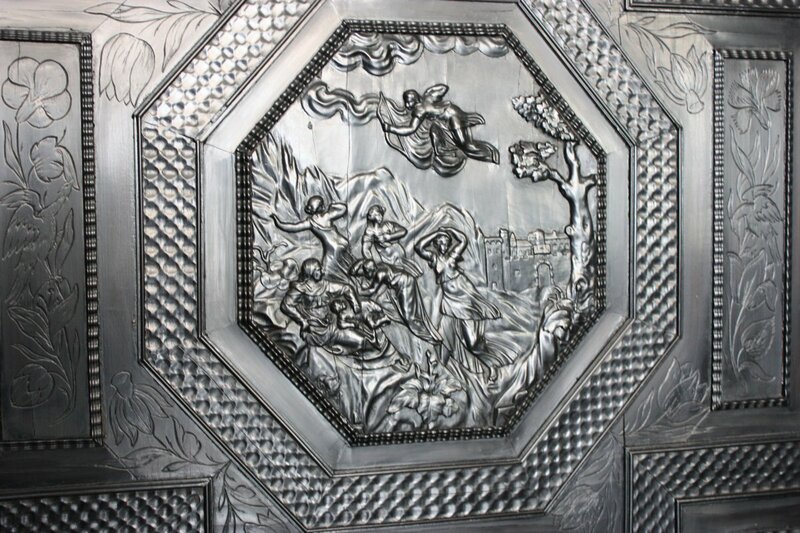 Scenes carved in ebony in low relief on the doors depict the slaughter of Niobe's children. 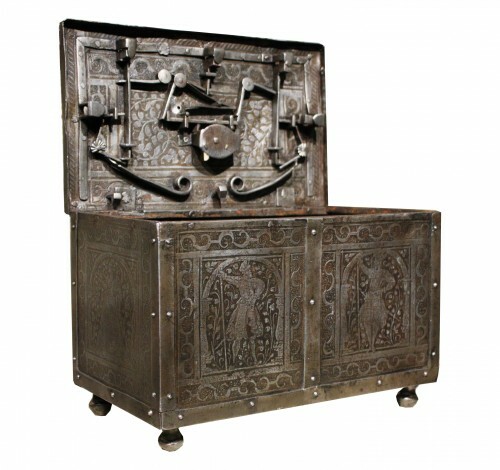 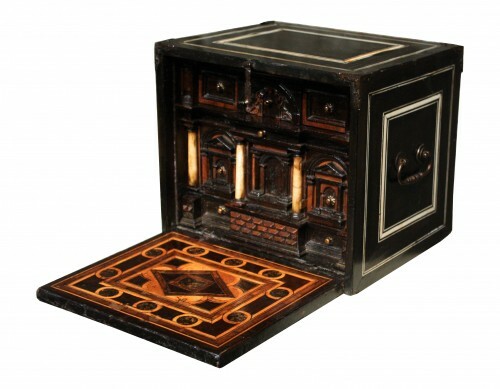 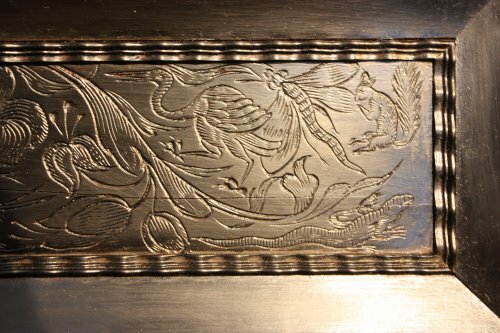 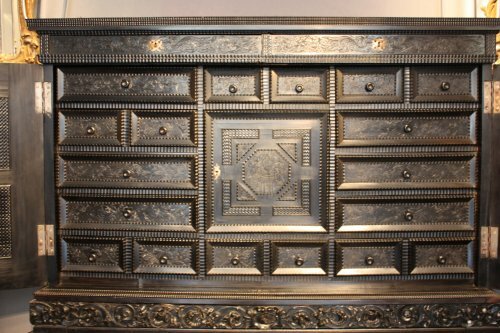 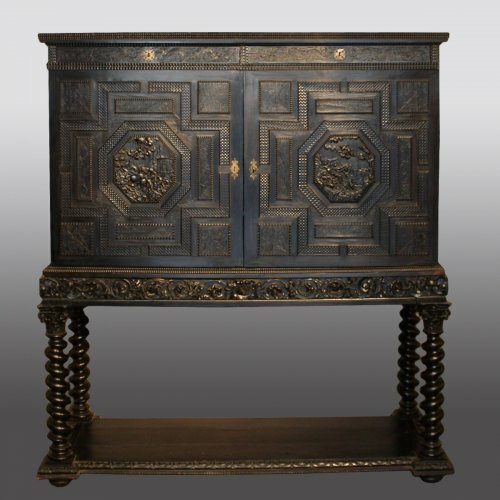 Each drawer is richly carved with floral and animal ornement. 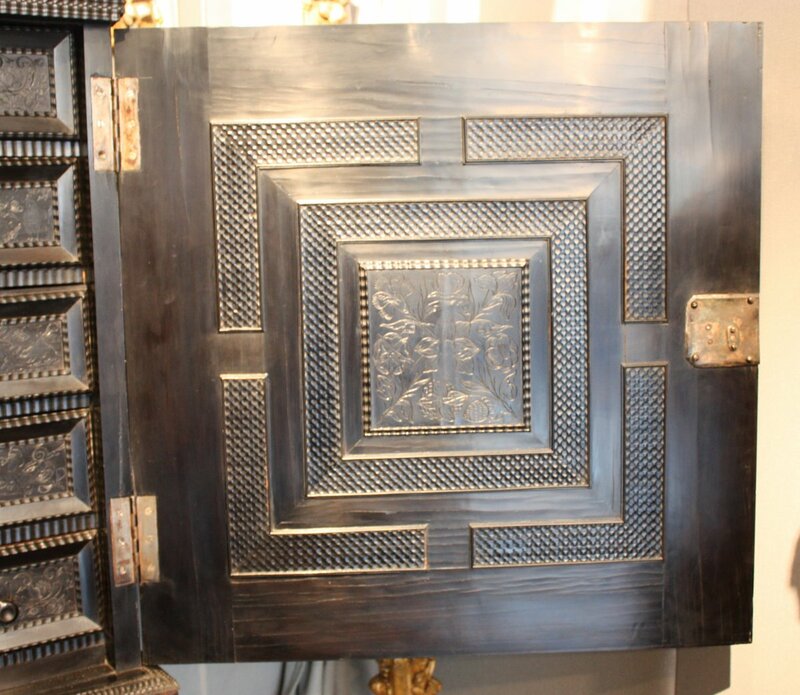 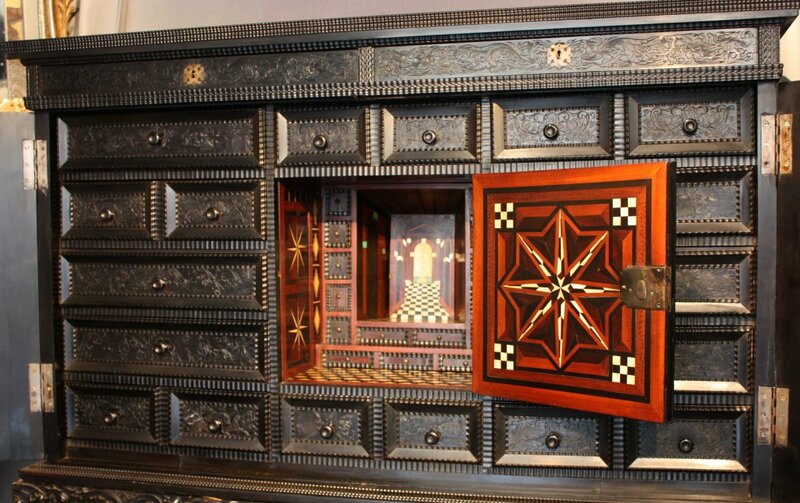 The central door reveals a theater inlaid of satinwood, ebony and bone with geometric motifs containing 12 drawers, the bottom panel slides to reveal a secret compartment. 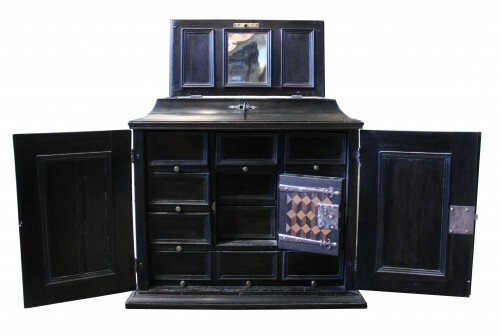 The cabinet is in very good condition. 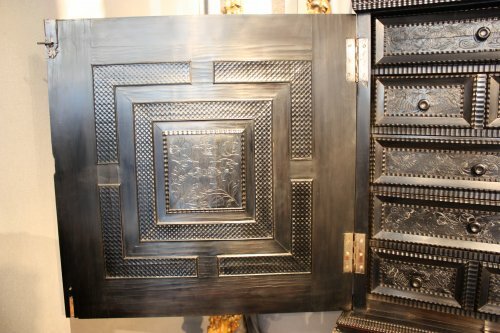 All four locks are original. 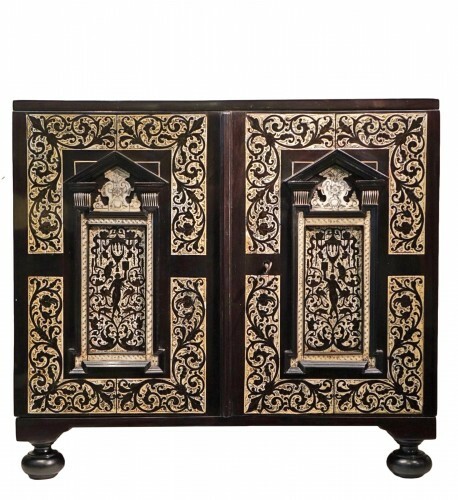 Dimensions: h. 170 cm, w. 150 cm, d. 53 cm.